Meet Interaction & Intervention Innovation (i2), a new type of process improvement, which has joined the ranks of proven innovation methods like product, service, business process and business model innovation. This one helps people experience new ways of interacting in order to create new knowledge and innovate successfully in the midst of emergence, complexity and uncertainty, the “new normal” for business today. The closing session at the 2013 Hargraves Institute conference was an excellent example of this fast-paced, dynamic process. In just 90 minutes of intense conversation, sixty people working in teams created eight clever prototype concepts for healthy living products and services. The high-energy finale was designed just-in-time. The presenters, having met for the first time over lunch, quickly combined their talents to design and jointly facilitate the session without any rehearsal. John Findlay & Abby Straus of Maverick & Boutique contributed the Zing collaborative meeting system (which uses the i2 process), their Complexity Model of Change and improv games to warm up the crowd. Michelle Williams, of Ideaction contributed the guest speaker to brief the audience, a 5-step design process and five customer profiles representing key markets segments, for which participants would design. The session began in a conventional way, with a five-minute talk by healthy living expert, Peter McCue, head of Healthy Planning, a state-wide New South Wales program designed to deal with the challenge of obesity in modern life. Next, John Findlay and Abby Straus introduced their Complexity Model of Change to explain the “the obesity epidemic”, which has occurred, in part, as consequence of widespread adoption of brain work and the replacement much physical work in the Knowledge Age. Another key factor is the invention of labor saving tools and transportation methods that enable people to get only a fraction of the daily exercise our ancestors got just a century ago. The Zing wireless keyboard collaboration system and i2 methodology were used to help participants create a rich picture of health trends and issues. Then, Michelle Williams stepped the teams through five rapid-fire, five-minute long mini-activities, with each team designing a product or service that would appeal to one of five customer profiles representing the different market segments. A Lifestyle Innovation program for women to achieve a better life-work balance with child care support provided by the employer. 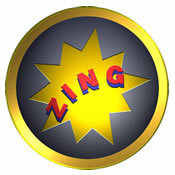 Participants used Zing and i2 to capture ideas and report back on their new products and services. They also gave lively and entertaining demonstrations of what they had in mind. i2 is increasingly being used by conference organizers to switch the focus from sessions dominated by experts to interactive events, such as this one at the Hargraves Institute conference, where the audience is facilitated in creating new knowledge on the spot. 1. “Simple rules of interaction” (SRI): a concept, borrowed from the science of complexity, which we commonly observed in nature when birds flock and fish shoal. Following just three simple rules—stay a fixed distance from others, fly/swim at a specific angle and turn when others do—huge groups of animals are able to execute breathtakingly beautiful and complex feats of coordinated movement. Examples of SRI in human interaction are the “Yes-and” rule from Improv that encourages people to add value to each other’s ideas and the Talk-Type-Read-Review etiquette, designed for the Zing team meeting process, which helps dozens to hundreds of people work efficiently and productively on the same issue at the same time. 2. The conversion of models, methods and thinking processes into a series of rich, open-ended questions, which encourages each person’s brain to become his/her own “personal Google”. Participants make creative connections and develop new ideas, which they share with others in conversation in small groups, and then with the larger group in a process of synthesis and integration. When everyone works in parallel this way, they are able to perform complex thinking and creative tasks with surprising ease. When events are conducted using this method, everyone in the room interacts in a synchronized way, no one talks at cross-purposes and all interests are valued and recognized. People from diverse disciplines and community groups can reliably deal with any kind of complex problem, even “wicked” ones, and reach broad agreement about what to do. Shifting between the collective wisdom of the group, provided by the Zing collaboration method and localized team work, provided by the 5 step rapid fire sessions, allowed a shift from macro/big thinking to micro perspectives of problem solving and innovation. With Zing, the participants can see the entire community’s collective wisdom and build on those ideas for this process. The report is easily generated after the session allowing for extra analysis together with a plan for immediate action. The 5-step process allowed everyone to work on a wicked problem that affects everyone in a way that removed people from their current mode of thinking outside the restrictions of KPI’s set by their organizations. It also helped the participants innovate more deeply and in more detail and develop their personal capacity for creativity and innovation. The fields of mathematics, biology, neuroscience, psychology and systems thinking are fertile ground for the new conversation and decision methods developed using i2. Sources of inspiration include academics and thought leaders, especially those who present at Aspen Institute, PopTech or TED.com conferences. You can see examples at www.colorfulconversations.blogspot.com. Common examples of these methods are SWOT Analysis, Six Thinking Hats from Dr. Edward De Bono, Polarity Thinking from Dr. Barry Johnson and The Choice Trilogy of Keep-Abandon -Reinvent from Maverick & Boutique. Mary: 65 years retiree. A bit overweight. Enjoys gardening. Likes swimming and dancing. Wants to lose weight so she can live a long and productive live. Takes walks in the park. Tom: 55 year-old, former construction worker, with bad back, now on light duties in the warehouse. Weights 120 Kg. Drinks lots of beer. Watches the football on TV. Samantha: 22 year old girl about town. Works in public relations. Time poor. Always eating out. Exercises seven times a week. Jane: 35 years old, fitness instructor. Eats a balanced diet of fruit, vegetables, meat, grains and nuts. Has not yet met the man of her dreams, who also has to be fit and eat well, but not a narcissist or macho man. John: 30 years old manager on the way up. Works 70-80 hours a week. Numerous meetings, often early and late. Eats out, or buys take-away on way home. Kids are in bed when he arrived home. Wife also works. No time for play. No time for exercise. 2. Ask each group to choose a role. 3. Ask a series of questions, one question per five minutes. Context: What are major trends (e.g. time pressures, new and growing lifestyle diseases) occurring in the world around health, lifestyles, quality of life etc.? Needs/interests: What are the likely unmet work/home/life needs or interests of your customer demographic? Product/Service: What kind of product or service would appeal to your customer segment that helps them deal successfully with their life/work situation? Think outside the box. Prepare for Report back: What novel, unusual way could you report back. Song, Dance, Improv, Movie, Skit, Poem, Report, Haiku. You have sixty seconds. 4. Report back: Report back in any way you like – Song, Dance, Improv, Movie, Skit, Poem, Report, Haiku. You have sixty seconds. 5. Ask the question: What did we learn from this experience?